Hey the 2012 School ball limo season is here in Perth. With the 25th January being the first ball of the season. Perth Stretch Hummers has already had 1000s of calls from Year 12 students wanting to get in first for their school ball. With 140 balls happening between now and the end of April it is a very busy time for Limo hire companies in Perth and students need to make sure they get the best service possible for what is the best night of their lives. 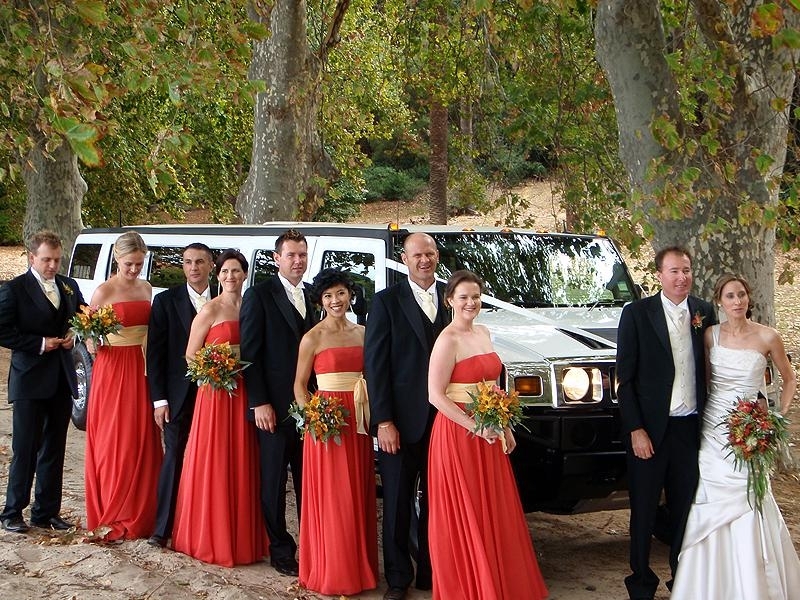 Perth Stretch Hummers is the largest specialised Hummer limo company in Perth and has been in operation fro over 4 years with Hummers and 12 years in total. “School Balls are a very big part of our business”, claimed owner Simon Dagnall. As a company we will do around 100 school balls a year with our 3 Hummers in black, white and Pink. At this time of year the Hummers are set up with school balls in mind. We are a company that chooses to preference school balls over weddings and other social functions. The Hummer experience begins around 90 mins before the ball wit the Hummer rolling up with music thumping, lighting on, smoke machine billowing. Its time for photos and then onto either Kings park or South Perth foreshore, location depending. Meet up with friends, show off outfits and have some photos. We always have a camera on board to capture those moments and we will always send them to you for free after the night. At the end of the night we will be there to collect you and whisk you off to the after party. Perth Stretch Hummers offers a guaranteed service which means that once you are booked in, no one can take your spot. 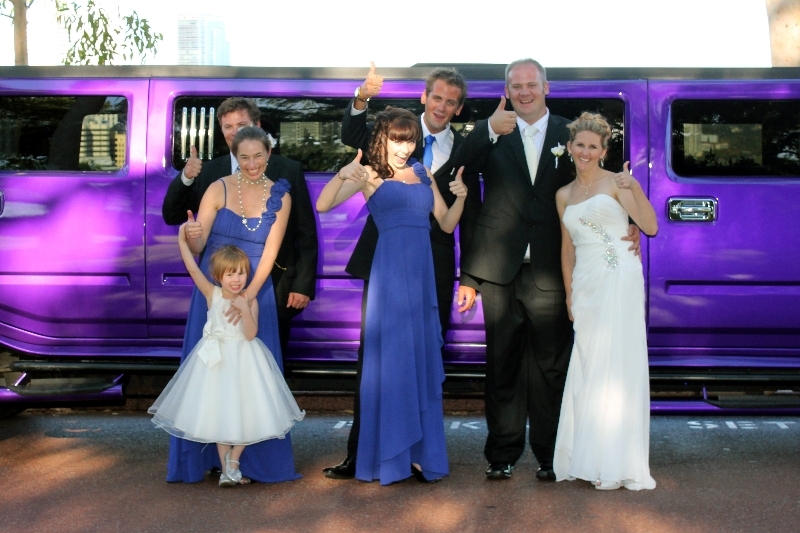 School Ball limos by Perth Stretch Hummers the largest dedicated Stretch Hummer company in Western Australia. It is coming up to school ball season and so the feeding frenzy begins in the limo industry. Between and now and the end of May about 100 school balls will take place some at big hotels in Perth, some more conservatively in smaller venues or even the schools own hall. Limo hire is a popular part of the evening and some unscupulous owners will be letting kids down as people offer more money for already booked spots. A Guide to booking your school ball limo. Firstly do not pay too much. Around $99-$120 per head is the correct amount to pay for a Hummer limousine and around $50 or $60 for an older 10 seater or van. Secondly ask lots of questions about the operator. Remember he should be selling his service rather than slagging everyone else off just to get your business. In this day and age if the Hummer does not have a smoke machine, lasers, karaoke, undercar lighting and an uprated stereo then you should not be booking them. They are quite frankly a lazy operator who has not bother to update their stretch Hummer limo. Thirdly, ask about the compny, how long have they been around?, what trade organisation do the y belong to?, what is the back up if a car breaks down etc. Lastly just make sure you are happy with who you are talking to, do they make you feel confident about your booking, have they asked for a credit card deposit etc. You can generally get a feel. A good way to judge is whether thay have asked to speak to the credit card holder. It all builds a picture of trust and reliability. Limo hire in Perth is a here today gone tomorrow business make sure you deal with professionals when booking your limousine for your School ball in Perth. 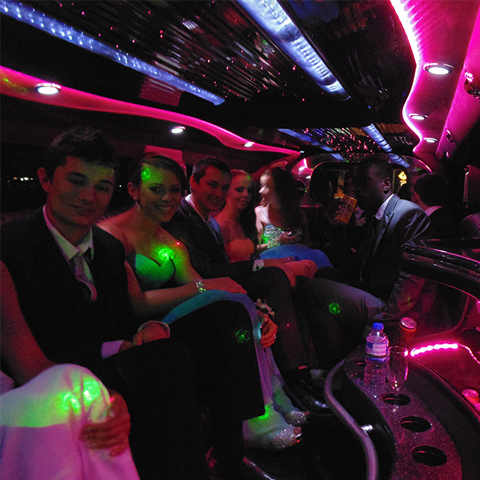 For the ultimate in school ball limos in Perth you cannot go past our Pink Hummer and our Black Hummer both with smoke machines, lasers, undercar lighting, VIP area, complimentary soft drinks, Playstation3, subwoofers, ipod connection and THE ABSOLUTE LATEST MUSIC DVS. 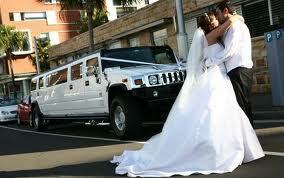 No other Hummer limo in Perth offers such a great School Ball Package. 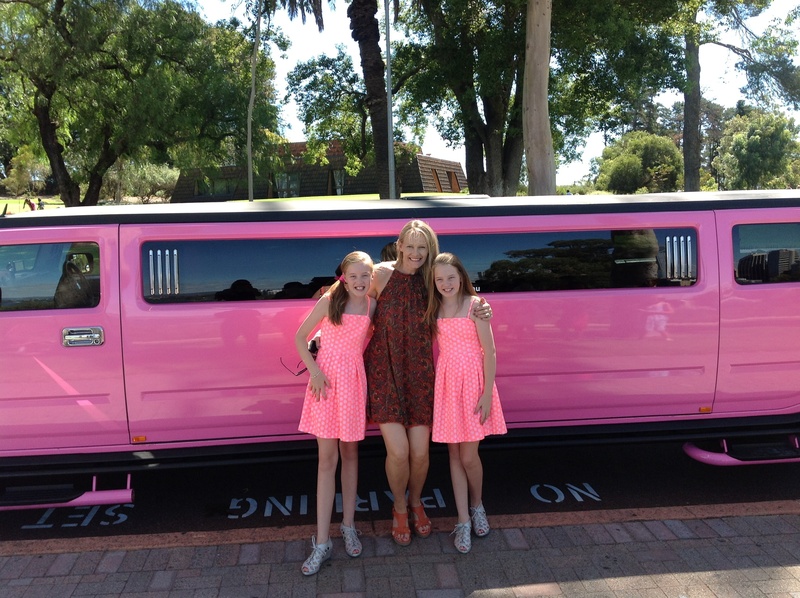 We know it is the most important night of your lives and so when it comes to School ball limos in Perth you must talk to Perth Stretch Hummers for the best School ball limo in Perth. Here is what we can do for you on your big night. At the alloted hour we roll up in either our Pink or black stretch Hummer. The music will be pimping the lighting set to party and the drinks on ice. After parents and siblings have taken the photos we set off for your school ball. You can plug in your ipos, give us a cd or USB stick and set the tunes rockin. Its all lighting, smoke machine and lasers as we set off to meet up with friends at Kings Park or similar. We stop off so the driver can take some photos in all your finery and then roll on to the ball venue. At the end of the ball we have your school ball limo in Perth waiting to get you home to get changed and then its off to the after party. 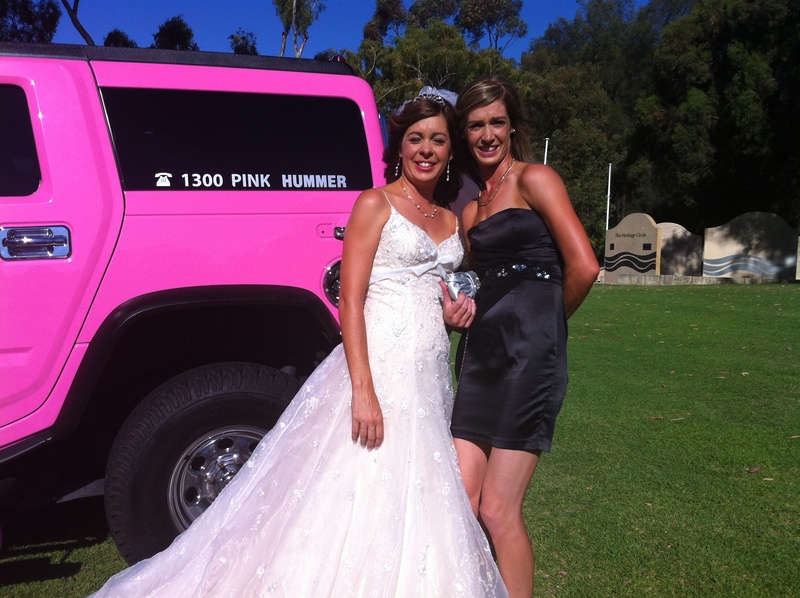 Just a quick update about pink Hummer limos available for School balls in Perth. 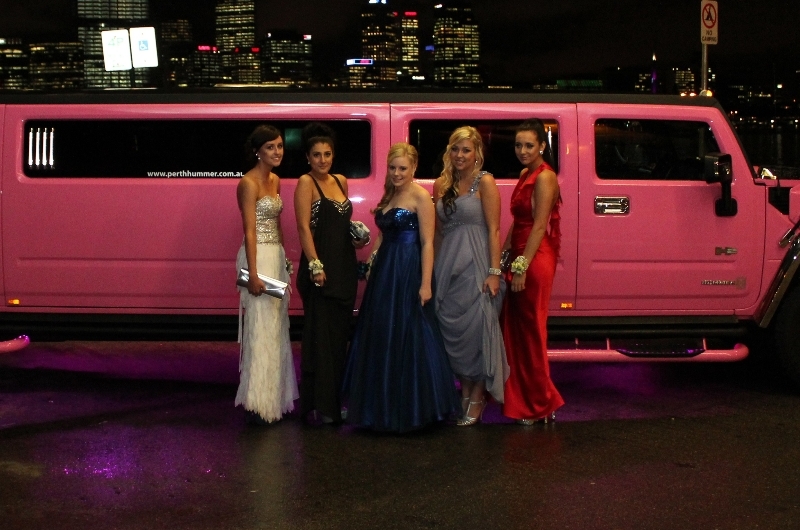 Our 14 seater pink Hummer is now available for school balls in Perth. It is a custom painted subltle pearlised pink with chrome accessories. THe 14 are all seated in the rear and has the same seating stle as all American SUV limos. School Balls covered for 2011 and 2012 include the following schools. If you attend one of the listed high schools in Perth then you can get your seat for free for your school ball limo hire in Perth. Belmont City College Belmont Belmont Canning 1957 Formerly Belmont SHS until 2000. Bullsbrook District High School Bullsbrook Swan Swan 1952 K-12, PS until 1953. John Forrest Senior High School Morley Bayswater Swan 1961 HS until 1965. Known as Embleton until 1962. Lynwood Senior High School Parkwood Canning Fremantle-Peel 1958 Parkwood was originally part of Lynwood, hence the name of the school. Sevenoaks Senior College Cannington Canning Canning 2001 11-12 only.